Minetest, the open-source Minecraft-like game, has reached v0.4.8 with many new features and bug fixes. Here’s how to install it in Ubuntu 13.10, Ubuntu 13.04, Ubuntu 12.04, Ubuntu 12.10, Linux Mint and their derivatives. Minetest is designed to be simple, stable and portable. It is lightweight enough to run on fairly old hardware. It currently runs playably on a laptop with Intel 945GM graphics. Though, as for the CPU, dualcore is recommended. 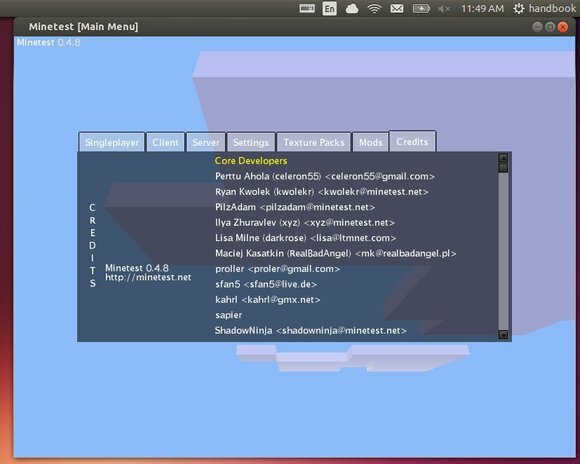 The latest stable version of Minetest is available in launchpad PPA for Ubuntu 13.10, Ubuntu 13.04, Ubuntu 12.10, Ubuntu 12.04 and their derivatives. include Linux Mint 13/14/15/16, Pear OS 8/7, Elementary OS Luna.